The other day, I went to the doctor for my annual physical checkup, and I must say that I was kind of surprised. Before I saw my doctor, I met with the nurse on staff who checked my blood pressure, measured my height, and took down my weight. My blood pressure was 112/62, which is quite good. I’m very active and try my hardest to stay fit and healthy. My body mass index (BMI), however, was not the best. Under the BMI scale, I’m listed as overweight. Without even thinking about it, the nurse made mention that it was time to start monitoring my diet and thinking about losing weight. She asked me if I was getting regular exercise and told me that if I wasn’t, I should start. Let me explain something to you: I am quite lean. I exercise regularly and carry a relatively low percentage of body fat. Even when I am carrying more body fat than normal, I’m still at a relatively low level. I was very surprised by two things. 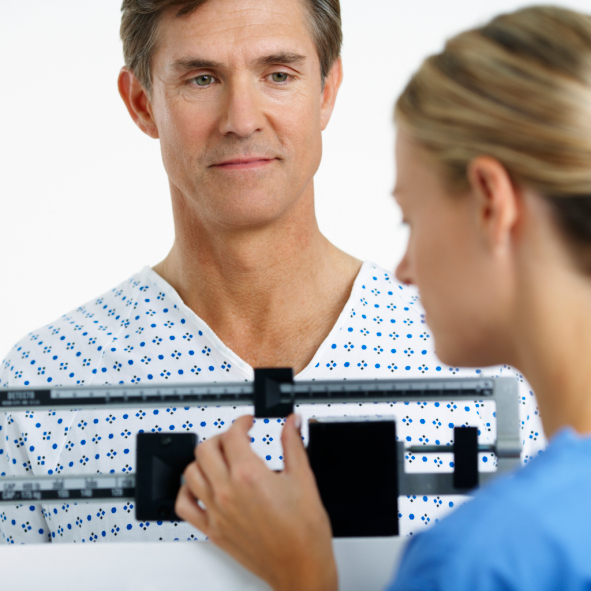 The first was that the nurse was fairly young and was still using the BMI scale to gauge health. There has been so much controversy over the effectiveness of the BMI scale in predicting health for some time now. In recent years, new measurements have proven far more effective. “A Body Shape Index” (ABSI), for example, has essentially rendered the BMI scale obsolete. The ABSI scale takes the shape and composition of a person into consideration as opposed to just height and weight. The second thing that surprised me was that the moment the nurse plugged the numbers in to get my BMI, she asked me about my fitness level. I don’t mean to brag, but I have an athletic physique that would indicate to most that I put work into keeping my body healthy. This healthcare professional was relying on what she saw on her screen instead of what was sitting right in front of her. The point of this is that sometimes healthcare professionals aren’t up to speed on new models, which can end up leading you in the wrong direction, hurting your overall health. In my case, there was nothing serious, but this isn’t always the case. It’s important to stay informed and be aware that you might be healthier than your healthcare professional thinks—or you may not be as healthy as the professionals say. So what can you do to make sure your healthcare plan is on the right track? Keep reading these e-blasts, visiting the Doctors Health Press web site, and staying abreast of all the newest information. Healthcare professionals may not have the time to review all the newest and most effective health methods, so doing your own research could prevent a lot of health problems in the end. Krakauer, N.Y., et al., “Dynamic Association of Mortality Hazard with Body Shape,” PLoS ONE 2014; 9(2): e88793, doi:10.1371/journal.pone.0088793.